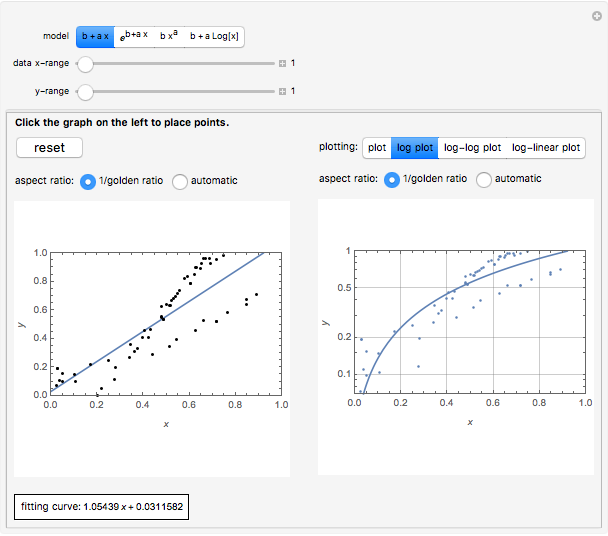 This Demonstration is a simple interactive tool to help to understand a few common fitting models of 1D datasets as well as their visualization using logarithmic plots. 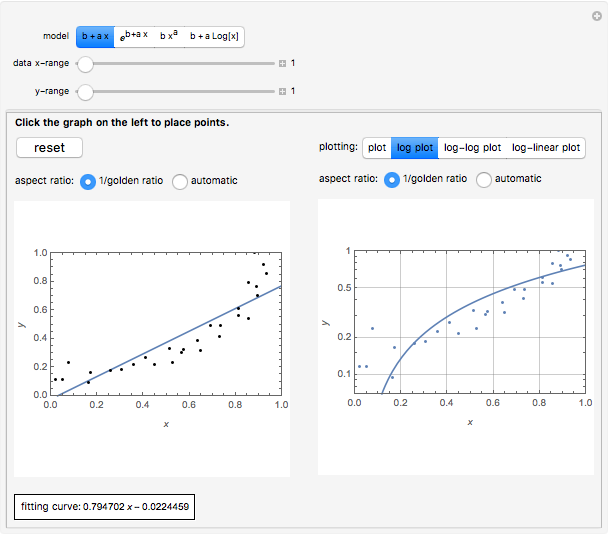 It is based on an example for the EventHandler in the Mathematica documentation. 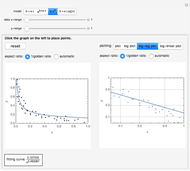 Click to get new points in the left graphic according to a chosen fitting model. Click to get "wrong" points far from the desired shape. 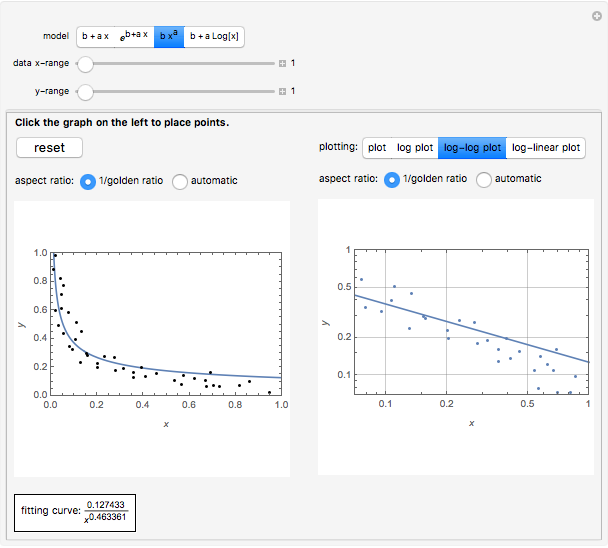 What happens to the fitting curve? 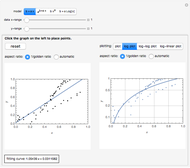 Choose "wrong" models for a given dataset. Use different plots to see how they transform different shapes. 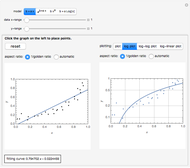 Janos Karsai "Interactive Curve Fitting"